October 11 is the official launch date for my new book! In the pages of my new book, Soup Nights, you’ll find all sorts of soup adventures! Some soups are perfect for vegetarians, others focus on fish (think bouillabaisse and gumbo), and many highlight those nutrient-rich beans and grains (barley, quinoa, lentils to name a few) so popular today. 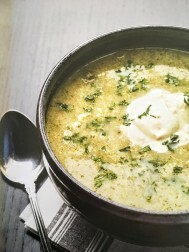 You’ll also discover hearty, richly flavored dishes, such as classic onion soup gratiné to counter winter’s chill, as well as cooler choices, like an icy cucumber Vichyssoise, for sweltering days. But, though we might wish to, one cannot live by soup alone. So, I’ve included recipes for fresh seasonal salads and inventive sandwiches—natural partners for soups—as well as for never-to-be-forgotten desserts. Alll were created to pair with the soups in this collection. These side dishes will help round out your meal’s soup star. 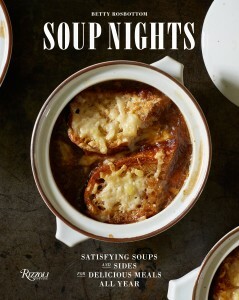 You’ll find suggestions for delicious “soup night” menus after each soup recipe in this book. I’ve spent the last year and a half working on this collection, and have been blessed each step of the way by help from many talented individuals. Rizzoli editor, Caitlin Leffel, gave me free rein to create recipes with extra tips and details so that home cooks everywhere will be able to make them successfully. 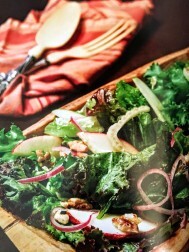 Photographer Harry Zernike is responsible for the gorgeous photos, and food stylist, Joy Howard, for the creative food styling. And, Peter Alberg designed the book of my dreams. My tireless assistants spent hours in my kitchen helping to make the recipes fool-proof; a group of volunteer testers cooked, critiqued, and helped fine-tune them. 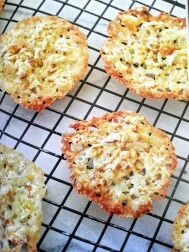 There are never too many cooks in the kitchen! 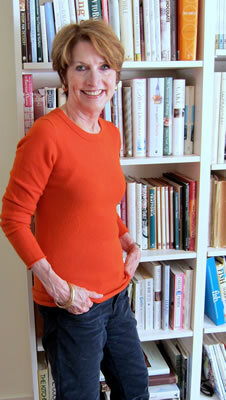 In honor of its launch I’d like to share some recipes from Soup Nights with my readers!